Sebastian Vettel, so graceful in his handling of defeat by Lewis Hamilton in this year's drivers' title race, on Monday, began serious reflections on his and Ferrari's disappointing season and a harsh self-examination. The four-time champion German, whose Ferrari car was often the fastest on the grid, conceded he had to look at himself first and the team secondly after he had finished second behind new five-time champion Hamilton in Sunday's season-ending Abu Dhabi Grand Prix. "I don't think I ever have any problems raising my hand if I made a mistake. I have to look at myself first," he said, conceding that in 2018 he had made a few. In a spectacular season that saw the title race ebb and flow as Ferrari and Mercedes battled for supremacy before an exceptional purple patch from Hamilton secured both titles for the Silver Arrows, Vettel was, he admitted fallible. "Knowing as well, as a racing driver, how quickly things can go wrong, how quickly things could have gone differently this year, I think I have to review a couple of things," he said. "But there are other things that went wrong and don't need a lot of reviewing or over-complicating too much. "I know what I need to do. Certainly, here and there, looking back I haven't been at the top of my game so... I look at myself first...."
In his home German Grand Prix, Vettel crashed out of the race lead and handed the initiative in the title race to Hamilton who, in the rain, claimed a famous victory. 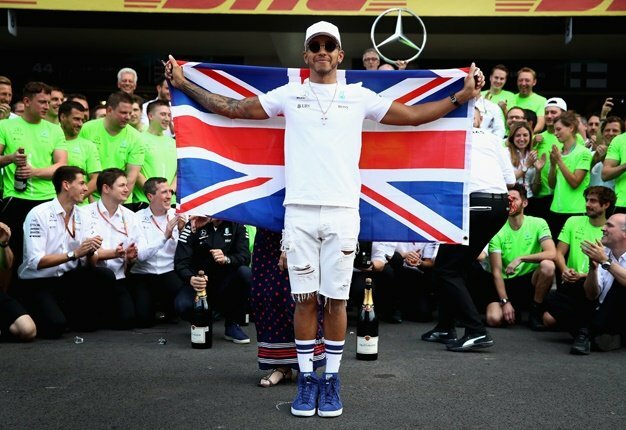 In Italy, at Ferrari's home race, he tangled with Hamilton on the opening lap with a similar outcome - another Hamilton triumph that added to the gathering momentum of the 33-year-old Briton. 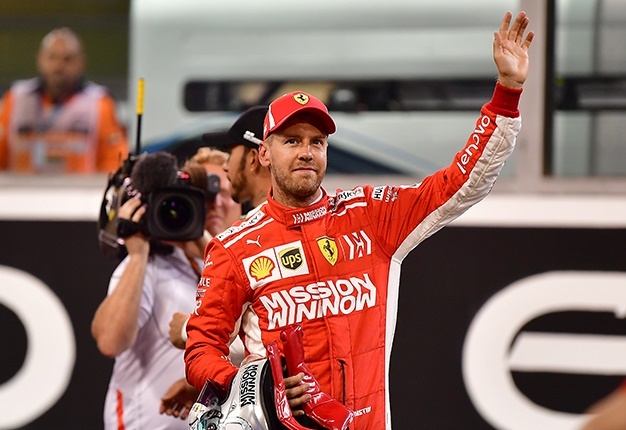 While Vettel admitted his own faults, he was prepared also to concede that Ferrari had not been faultless in an inconsistent season overshadowed by team upheavals following the death of Sergio Marchionne. "Things didn't come together so obviously we did a step back towards the end of the year, which enabled us to be more competitive again," he said, explaining how the team had been forced to abandon an update package that saw them under-performing. "But I think we've understood what went wrong. We obviously will try to do a better job in the future. That was one key thing. On the other hand, I think we had a lot of lessons. It was a tough year in general. "It's up to us to look into every single detail and make sure we come out as a stronger group, enabling us to build a stronger package for next year and for the future." Vettel will be joined at Ferrari next year by a new team-mate in Monegasque prodigy Charles Leclerc who replaces Finn Kimi Raikkonen in a bid to rejuvenate the drivers' line-up and add competitive focus. On Sunday, Raikkonen bade farewell to the Italian team with an early retirement after losing power. It was a downbeat end to an often colourful career with Ferrari before he moves to Sauber, but a signal that Ferrari is ready for change.